Lapsang Souchong is a Chinese black tea that is sometimes also referred to as “Smoked Tea”, because the leaves are smoke-dried over pinewood fires. This give it a strong, smoky flavor, reminiscent of a campfire or a barbeque. Some people love this; others hate it. 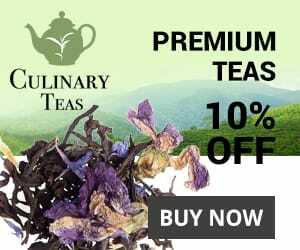 This tea can be found in most specialty tea shops or through many online vendors. If you are unsure where to begin, you can check out some of my recommendations below. Unlike most black teas, this one can be brewed at a variety of temperatures, depending on individual tastes. For the first cup, I’d begin by using boiling water, which you can heat using any type of stove-top kettle. Like other Chinese black teas, this one can be brewed in a variety of vessels, from a teapot to a traditional gaiwan, to a simple glass. For these instructions, I will use a gaiwan. Put approximately 1 teaspoon of tea leaves into the gaiwan. If using a different vessel, use about 1 teaspoon for every 100 to 150 ml (or for ever 5 oz. or so) of water. Fill the gaiwan with boiling water. Place the lid on the gaiwan and let the tea steep for 2 minutes. Pour the tea from the gaiwan into the teacup, using the lid to hold back the leaves. Enjoy your tea! You can also reduce the temperature of the water. Boiling water will give you a harder, smokier and more astringent tea, while slightly cooler water (80-90°C or 176-194°F) will give you a milder, fruitier flavor. The video below shows another brewing method, called the gongfu style, which uses more tea leaves and a much shorter steeping time. Using this method, you can get 6-8 infusions out of your leaves. A tea press (like this one) is used in the video, but the gongfu method is traditionally employed with an yixing or a gaiwan. Many people already have an account with Amazon.com so it is probably the easiest place to buy tea online. They have a large selection of Lapsang Souchong, but most of them are not very good. 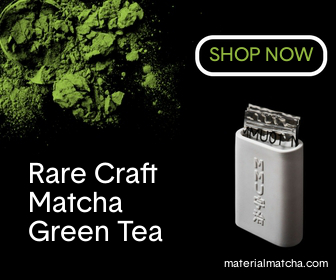 I recommend the one from Stash Tea. My favorite online option is this Lapsang Souchong from Teavivre. It’s an excellent quality tea at an affordable price. If you prefer your tea smokey, this offering from California Tea House will probably be right up your alley. The quality isn’t as high as the one from Teavivre, but it costs less. For more on lapsang souchong tea check out the Wikipedia page.